The continuous harvest of atmospheric moisture by lunar orbiters foments a plan set in place to destroy the Harvest fleet, but it is derailed by a twist that allows time for development of a technological work-around. Time passes, and the ruling Houses are caught unawares by an invasion intended to wrest control of the Harvest. The interlopers are aided by wizard-like practitioners whose hallucinogen-induced evocations bend the norms of nature to their will. Cairn, heir to Alar, is taken captive and then dispatched to carry the warlord's edict. The Maester Viizar, Gezladorn, has his own agenda, contrary to that of the lunar warlord. The Maester is able to manipulate some of the players through mind-control, pitting them one against the other. Cairn learns of a human-like species that has always kept to itself in the planet's vast cavern system, and he leads a band of men and UnderWorlders on a subterranean journey to rise into the bowels of House Alar. Alliances fall apart and it becomes unclear who is the true enemy before Alar ultimately triumphs. First off, I should make known that I am no fan of science fiction novels (or even movies). It’s just not my thing. 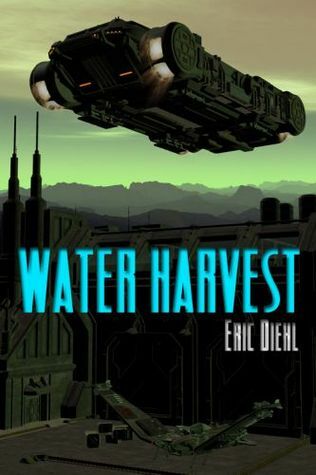 However, Water Harvest was better than most I’ve read and I actually made it to the end. The writing in this book was SUPERB. I mean, damn. I was impressed. The level of writing far surpassed most authors in any genre I’ve read, and for that alone I knew this book wouldn’t get less than three stars. The plot was another story. Although I liked the concept of futuristic wars over water (which could very well be a realistic future for us), I found myself confused a lot. Narrating characters changed frequently and I wasn’t always sure who was telling the story. And the names. The overabundance of characters had such unusual names that I never stood a chance of keeping them all straight. And I have to say that none of them really stood out to me, not even Cairn. Like, I was never really invested in them enough to actually pick a favorite or anything, though some of the things Gezladorn said did make me snicker. He was wise and sarcastic, a perfect combo. Again, sci-fi and me aren’t friends, so overall, the book was just a decent read. Not sure if I’ll take on a sci-fi book this long again, but I might accept one that’s shorter in length. And who knows, maybe the next sci-fi book will sell me on the genre for life.